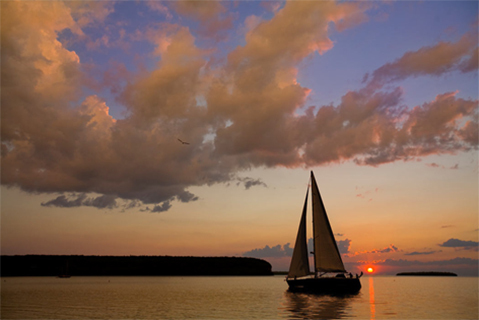 SimpleSail sailing Charters are the best way to see and sail Wisconsins Door County peninsula. Conveniently located at Harbor Club Marina in Sturgeon Bay, its the perfect launch point to explore the countless wonders of the Door. Whether on a trek to cover as many miles as possible; or just desiring to relax and enjoy the outdoors, a SimpleSail Charter is for you. With all major ports and anchorages within a days sail of our charter base, the whole Door Peninsula is truly yours to be had.